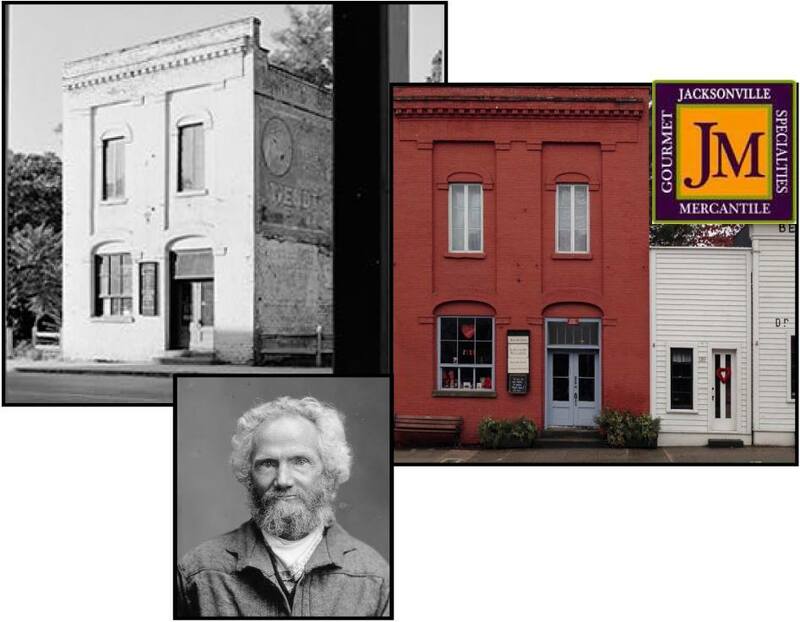 Jacksonville Mercantile Store | Historic Jacksonville, Inc. The brick building at 120 E. California Street was probably the second 2-story brick building erected in Jacksonville. Constructed around 1861, it’s historically known as the Wade, Morgan & Co. building after some of its earliest tenants. However, it was actually commissioned by P.J. Ryan, the Irish immigrant who was the early town’s most prolific owner and builder of “fire-proof” brick commercial buildings. Ryan himself occupied the building in the early 1870s but by the end of the decade the Oregon Sentinel newspaper occupied the top floor and the ground floor had been converted to a saloon. Today it’s home to the Jacksonville Mercantile, a specialty store for gourmet food and gifts.